For the ride-service giant’s new 88,000 square foot mid-Market HQ in San Francisco, Studio O+A created an office reflective of the company’s culture. Seating is open (and therefore, the theory goes, collaborative) with the intention to reflect some of the 118 cities that Uber serves on walls, video screens, and space dividers. 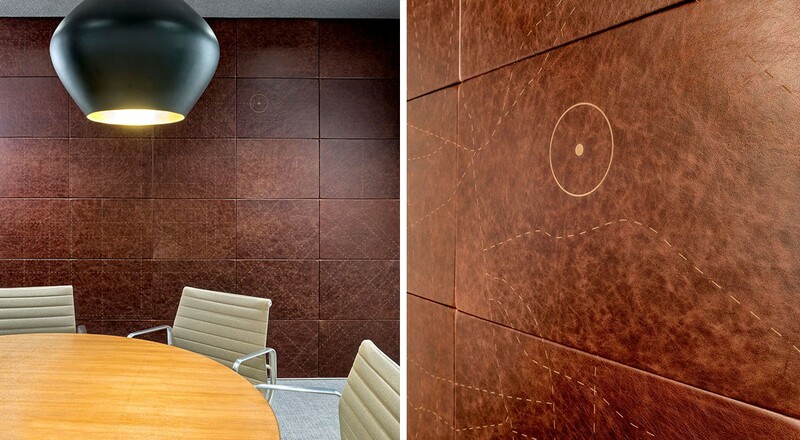 Custom Muro panels in Distressed (DT) are laser engraved with maps of Capetown, Paris, Santiago, and San Francisco. Distressed embodies the ease and comfort of a well-worn, natural leather through the combination of natural oils and a specialized milling process and is a perfect juxtaposition to the regular and geometric street grids. For more information, please visit Custom Muro and Distressed (DT).